Back on market - no fault to Seller. 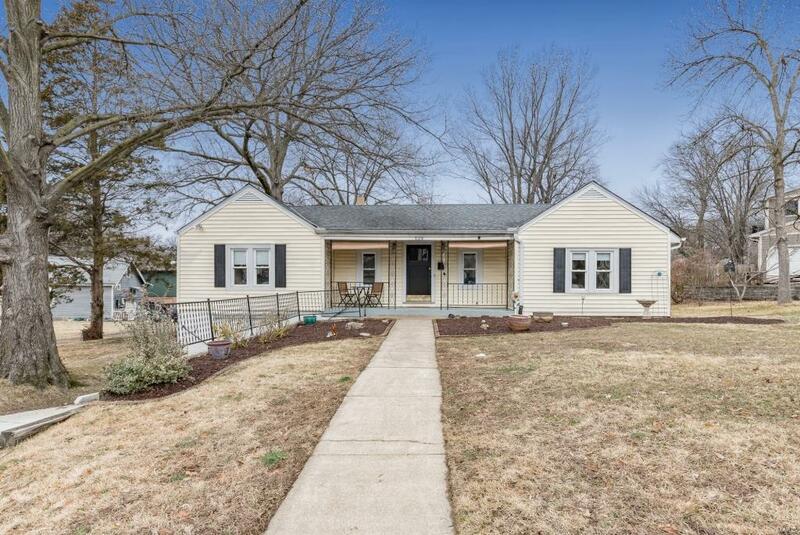 Ranch w/3Bd, 2Bth, 1900+ Sq Ft, Living & Dining Rm combo w/tons of character-built-in china cabinet, arched ways highlighting split-bedroom design using floor space efficiency, accommodates varied of schedules & provides lifestyle change easily. Eat-in Kitchen w/tons of cabinets/prep space, new floors (2019) &Breakfast Rm. Family Rm w/FP & shelving! Office/Study w/new carpet (2019), 3 walls of windows! Master Suite w/dual closets, shelving, window bench w/storage & updated (2019) Bth. 2 addâl Bds flanked by 2nd Bth-recently updated (2019). LL storage space & includes tuck-under garage. Updates: â19-refreshed landscaping, interior fixtures, fresh paint throughout, â18-new driveway, â10 New roof & new HVAC, within walking distance to Webster Groves amenities (pool, tennis, fitness, track, ice rink) & annual Community Days â 4th of July, top rated schools, parks, & neighborhood friendly grocery market; easy access to HWY 44/commute Downtown St. Louis!